I’ve always been fascinated by serial killers. There’s something both creepy and scary about them. To me, they are symbols of the worst humans can do but proof that most of us aren’t THAT bad. Because this is 8Asians, I thought I’d do some research on Asian/Asian American serial killers. I’ve always been fascinated by serial killers. There’s something both creepy and scary about them. To me, they are symbols of the worst humans can do but proof that most of us aren’t THAT bad. And because this is 8Asians, I thought I’d do some research on Asian/Asian American serial killers. A serial killer is typically defined as a person who murders three or more people over a period of more than 30 days, with a ‘cooling off” period between each murder, and whose motivation for killing is largely based on psychological gratification. 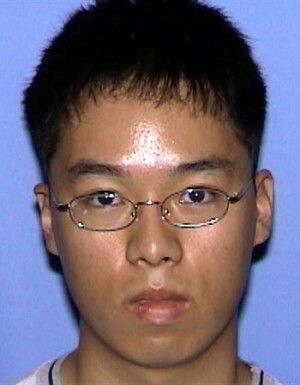 To be clear, people like Seung-Hui Cho (Virginia Tech massacre) are not serial killers. Instead, they should be considered mass murderers or a person who kills four or more people at one time. When most people think of serial killers, they imagine single white men. However, there have been serial killers of every race, gender, sexual orientation, and social economic status. Some have been smart and personable, others awkward and not very bright. Some have been single and others have been married. Some have even murdered with their spouses right there helping them! With that being said, I found only two Asian American serial killers, Charles Ng and Andrew Cunanan. A detail of both Ng, Cunanan, and a bunch of killers from Asia, after the jump! On the left, Chinese American Charles Ng is suspected of killing anywhere from 11 to 25 women in Northern California during the 1980s. He was unusual in that he worked with a partner (Leonard Lake). He is currently on death row at San Quentin State Prison. On the right, hapa/Filipino American Andrew Cunanan is most well-known for murdering fashion designer Gianni Versace. What is less well-known is that he killed four other people in less than a year. Andrew shot himself before he could be caught and tried for any of the murders. I’m not too surprised that there are only two Asian American serial killers but I’m curious to see if there will be more as the API populations increases over the next few decades. What about outside of America; are there Asian serial killers? Of course there are! There are serial killers on every continent and in every country! The only reason there seems to be so many American serial killers is because we’ve spent a lot of time studying them and finding ways to catch them. Joshi-Abhyankar Serial Murders: Quartet committed around 10 murders. This is a list of unidentified serial killers. It includes circumstances where a suspect has been arrested, but not convicted. If you know of any Asian/Asian American serial killers I forgot to mention, please let me know. Include a link if you can.